I have been looking around at all the amazing books I have added to the library this year and I realize many of them are titles I heard about from the blogs on the right. (insert arrow---) I picked a few favorites just for you. 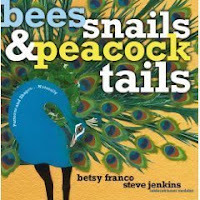 1. bees, snails, & peacock tails by betsy franco and steve jenkins(2008). I love the combination of math, shapes, patterns mixed into the natural world. The illustrations are amazing!! Here is another great look at this book by another blogger. 2. Flip, Float, Fly; seeds on the move by JoAnn Early Macken, ill. Pam Paparone (2008). I am astounded at how wonderful non-fiction has become and these first two books are perfect examples. Gone are the days of boring text mixed with simple photos of what becomes an uninspiring topic! When you have text like this: "a wild oat seed curls up in the sun like a comma. 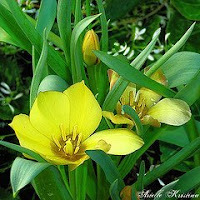 The seed straightens out when it rains. Wiggle! Jump!" and a perfect illustration to match. How great! 3. Helen Keller; the world in her heart by Lesa Cline-Ransome; ill. James Ransome (2008). Finally a great biography of Helen Keller that elementary students will get! Now if this team could do one on Anne Frank my students would really appreciate it. They have another biography (Young Pele; soccer's first star) out which is also fantastic. 4. 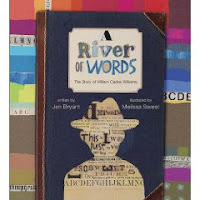 A River of words; the story of William Carlos Williams by Jen Bryant; ill. Melissa Sweet (2008). This book is such a simple retelling of one man's life; about dreams not realized in the usual way and hope for all artists. The illustrations are as-if-lifted right from his notebook; we get such a sense of being right there with him. Thank you for this book because we glimpse into this life and understand. 5. Cinderella by Max Eilenberg and Niamh Sharkey great blog :)(2008). I love fairy tales, all kinds of versions. This particular one I like because of its simplicity and because the father steps up (for once) and says His daughter should try on the glass slipper-yes, thanks for coming out of the fog, dear Dad! I am going to read it to students next week. 6. Beware of the frog by william bee (2008)-great name, great book...funny, funny book and children love it! 7. Our Library by Eve Bunting (2008)-I've already blogged about this one so here's someone else's thoughts on this great book that reminds us all of working together in our communities! 8. One boy by Laura Vaccaro Seeger (2008). My kindergarten students loved this book when I read it to them in the library. They said "will you read it again..."
9. The Beem an by Laurie Krebs and Valeria Cis (2008). 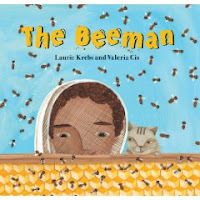 My step-father is a beeman so maybe I like this one because I can relate but this book shows an unusual occupation/hobby that most kids wouldn't even think about in an easy-to-read rhyming text! 10. Mrs. Claus explains it all by Elsbeth Claus; ill. David Wenzel (2008). I can't wait for Christmas! This one offers great questions with wonderful answers! How does Santa get into your house if you don't have a chimney??? This has a great format and beautiful illustrations. Age-0ld, priceless and brand-new, all in one! I think 10 is a good number to stop at for today-I know there are more but these are the ones that have been stacking up on my desk; Read Me!! These are just the picture books...whew!